The Tagum City Youth Development Office (YDO) has launched a donation drive, proceeds of which will be given to less fortunate children in the city. Dubbed as the “Karton Sa Kalipay,” the YDO has urged the public to donate school supplies, chocolates, and toys. “The proceeds of which will be given to the children of BJMP (Bureau of Jail Management and Penology) inmates, children with cancer in the House of Hope, poorest of the poor families, and the IPs (indigenous people) who need assistance,” it said. Mayor Allan L. Rellon, along with the city councilors and Kabarkadahan Registered Guidance Counselors, has donated gifts during the program launch on December 3. 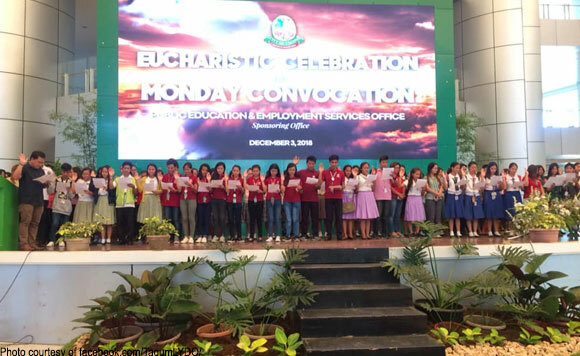 The Kabarkadahan organizations from each schools were established during the series of Information Education Campaigns (IEC) conducted by the office. Their main advocacy is the campaign against the use of drugs, HIV/AIDS awareness, and Peer Education.